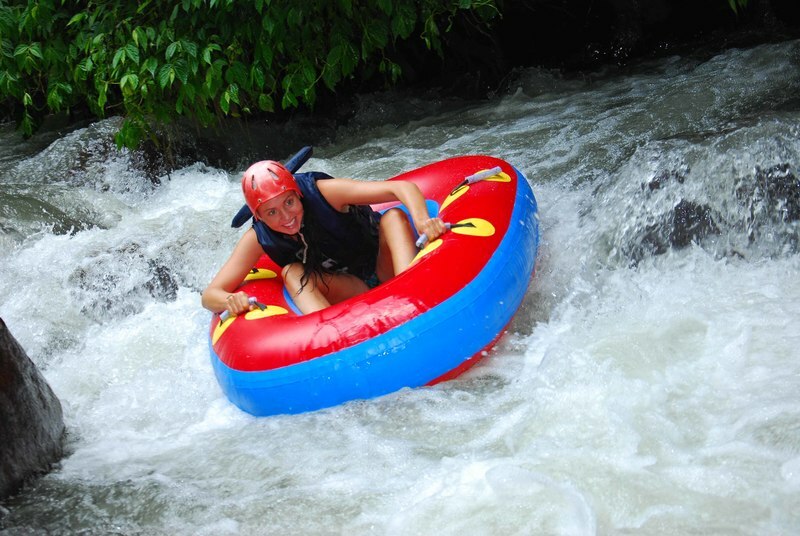 Welcome to the Bali River Tubing Adventure, The Bali River Tubing stands proud as Adventure Company, providing the most comprehensive Adventure & Relaxing to all levels. 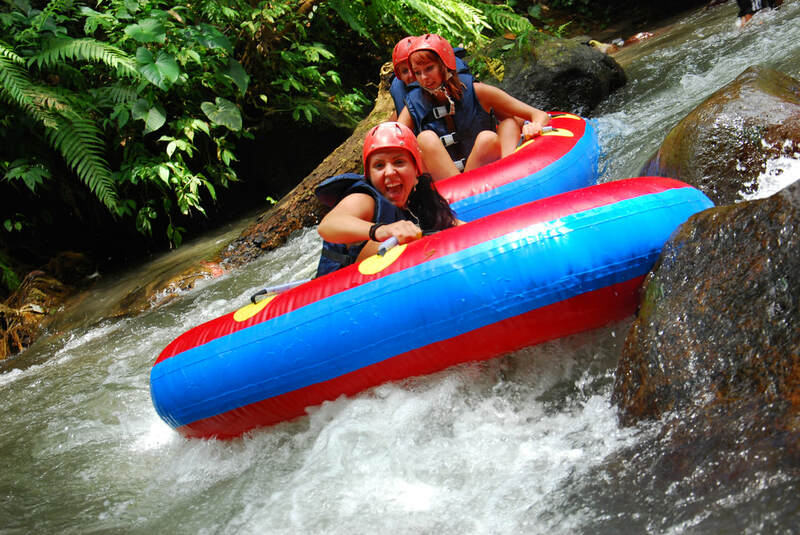 Our TUBING Trip held on Pakerisan River at Tampaksiring Regency, part of Gianyar BALI, the Beautiful River and Original Waterfall offering to your Client 1,5 Hour TUBING Trip , Through 4,5 kilometers of 7 exiting class II + rapid, the Natural on Pakerisan River, Our Staff fully Understand and Familiar with Hospitality Industry, they will work and presented The Comprehensive Safety and Services. Have a Great TUBING !!! Helpful and Warmest Staff to assist you at our Site. Frequently Asked Questions ( F & Q ) What Time The Tubing Trip available? The Client (s) will Registration before The Trip, including Payment or Voucher. 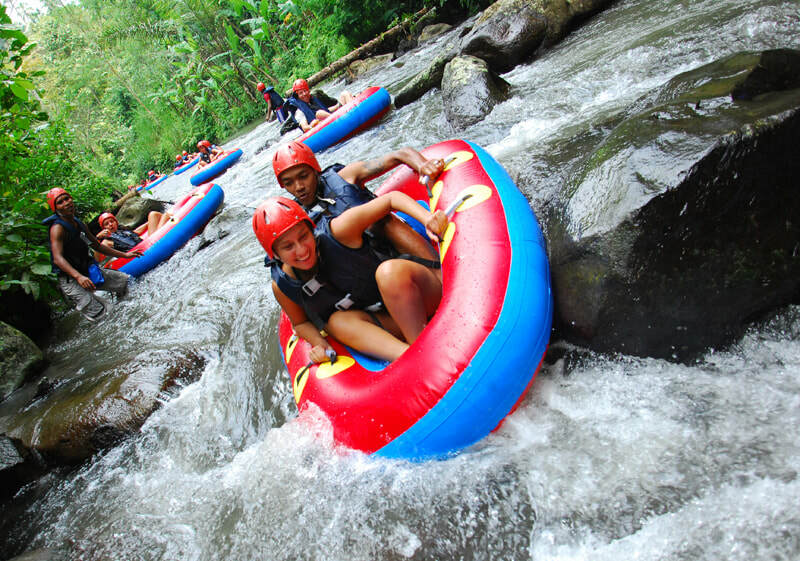 The Set up for Life Jacket and Helmet Will arrange by River Tubing Guide. 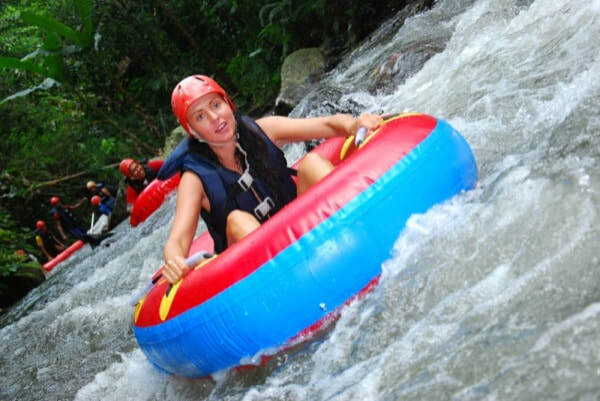 The Safety Talk will Explain to The Client (s) How To Ride the Tubing on The River. The Tour Leader will Arrange the Trip with Comparison 2 River Guides with max 5 Clients. 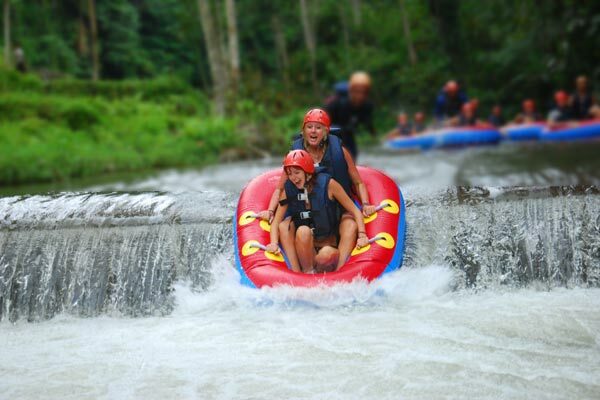 Children’s under 10 Years Old will Join on Tandem Tubing with Our River Guide or Parents. What time picked up Arrangement? Nusa Dua, Jimbaran, Uluwatu Area pick up times would be 2 hour before the Trip. Sanur Area, pick up times would be 1 hour 30 minutes before the Trip. Ubud Area, pick up times would be 1 hour before the Trip. The Bali River TUBING including 1.45 Minutes River Tubing Trip, we will provided the guest with air-conditioned transport to and from their hotel, River Guide with comparison 2 : 5 Clients During The Trip, Cover with USD 100,000 insurance, they use of Bali River Tubing Safety and Recommended Equipments Helmet, Life Jacket. the end of Trip Our changing room facilities including soap and Fresh Towel will supplied on the spot. The Beautiful Indonesian Food will serve you at Surya Restaurant, including Welcome Drink, Appetizer ( Asparagus / baby corn Soup ), Main Course ( Fried Rice, Mix Rice, Fried Noodle, Tropical Fruit and Complementary Coffee or Tea. Where are the Tubing Trip held? 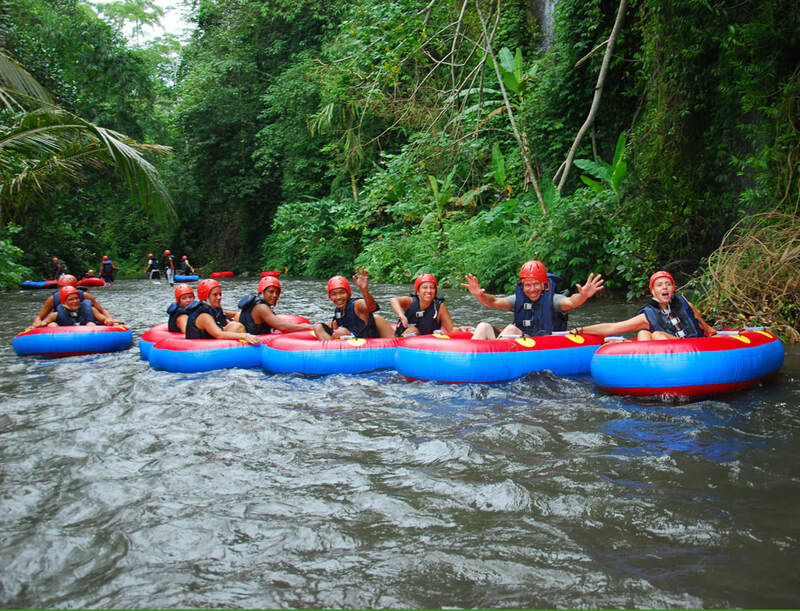 The Tubing Adventure Trip held at Pakerisan River Tampaksiring, Gianyar Regency, the Original River, including 7 Rapids, 2 & 3 River Class.